juicing | how do you like them green apples? Juicing is no fad. All the way back in Ancient Greece, people used to call pomegranate juice “a love potion”, and some of the earliest recorded evidence of people juicing for health benefits date back to 150 BC in the dead sea scrolls, with accounts of people taking mortar and pestle to pomegranates and figs. 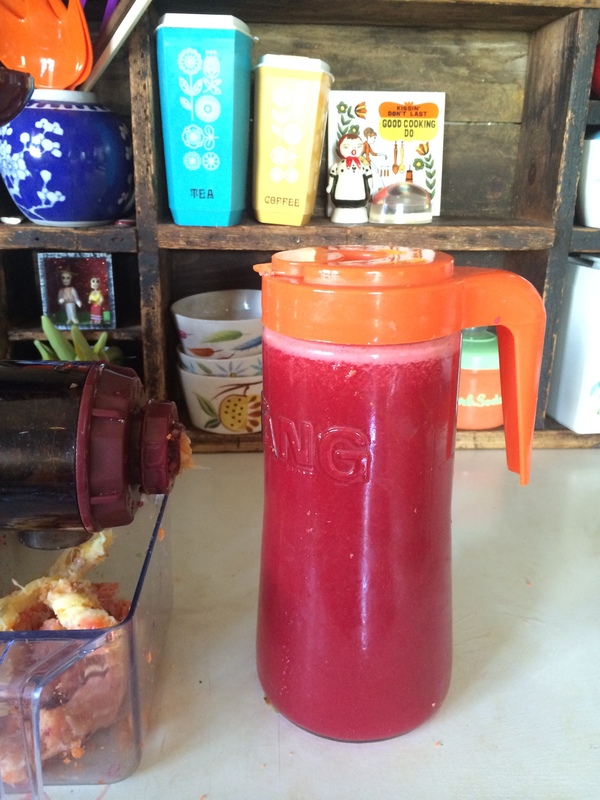 I love fresh juices, especially in the summer- when I think these sweet cooling beverages are most balancing. I try to mix up the green smoothie/juice/herb teas in my routine to get a variety of nutrient dense beverages. 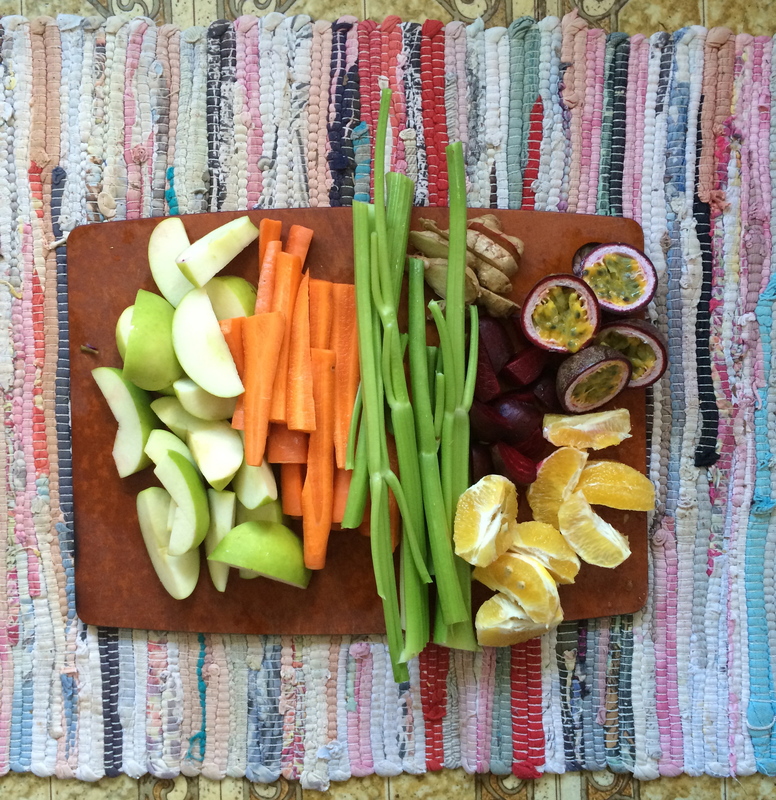 Juices make your body feel great- there’s no doubt about it. Over the years of juicing, I’ve developed few methods that might be helpful if you are just getting in to it, or if you’ve been juicing for a while- some different approaches you might find interesting. 1- Invest in a cold pressed juicer- If you are serious about juicing for health and want to get the most nutrition out of the end product, it’s definitely worth investing in a cold pressed, aka “slow” or “masticating” juicer. These are different from the standard centrifuge juicers, which use a high speed, rotating blade to juice produce. Different methods of extraction lead to a very different end product, and independent studies have confirmed that nutritional profiles (vitamins and plant enzymes) are greatly increased with cold pressed juicers. Also, cold pressed juicers retain their value for longer, allowing you to keep juices for up to 48 hours before degrading. Have a read HERE to get a better idea of the difference and to check out the different kinds of press juicers on the market. Here’s mine in action just the other day. 2- Juices are very powerful– A potent juice can make your stomach a bit upset or be a bit overwhelming in flavour, and some may find them a bit hard work to drink. This is especially true with cold pressed juices which are significantly stronger. In the case of cold pressed juices, 100-200mls is a decent serve. It’s absolutely fine to dilute your juices. I use water kefir or coconut water to dilute mine, but purified water and ice work great too. 3- Juices are high in sugar and fructose– It’s important to remember that juices will give you a spike in insulin and blood sugar- so if you’re trying to work on insulin resistance, juices may need to be a “sometimes food”. My favourite way to reduce the impact on my blood sugar, is to blend seeds and nuts in to my juice. After juicing, I put in the blender my 100-200mls of fresh juice, half part coconut water/water kefir, then whatever seeds/nuts I’ve got soaked or ready. Hemp seeds are a favourite as they make the juice almost creamy, but I’ll also add linseeds, chia, cashews, or almonds if I’ve got them available. This adds fibre and protein which helps to slow down the sugar absorption and makes the juice more like a meal. You can also add super food powders or protein powders if you like. I’ll sometimes add ice, as I find the whole combo more refreshing if it’s cold. 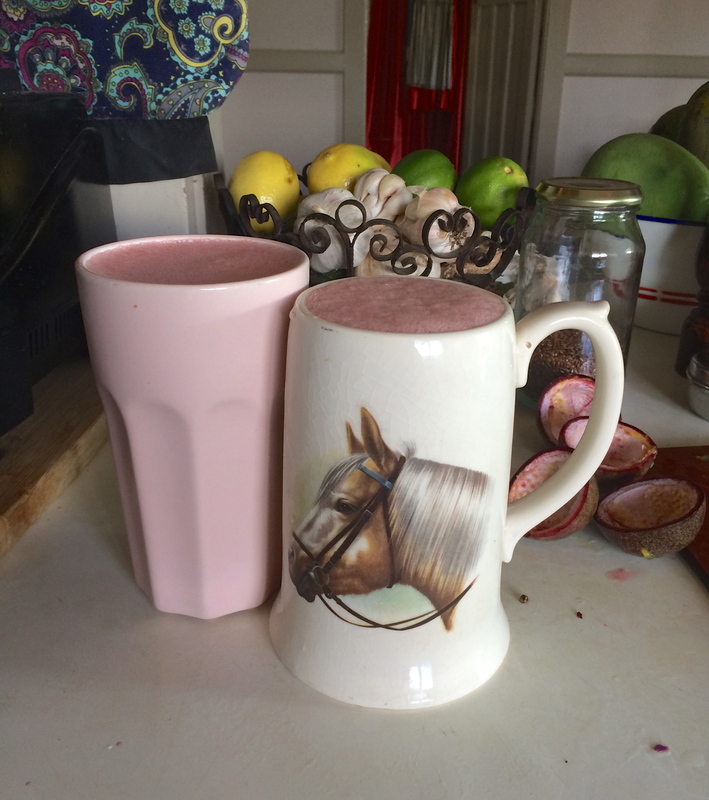 Hemp seeds in this juice has turned the concoction creamy-with added ice= delicious! 4- Don’t juice greens, berries and some fruits- Some fruits and greens are excellent sources of fibre, and the pith and seeds are also highly nutritious. Juicing can be a bit of waste in the case of these ingredients. Instead of juicing, I’ll blend in berries, mango, pineapple, passionfruit and greens (except wheat grass). 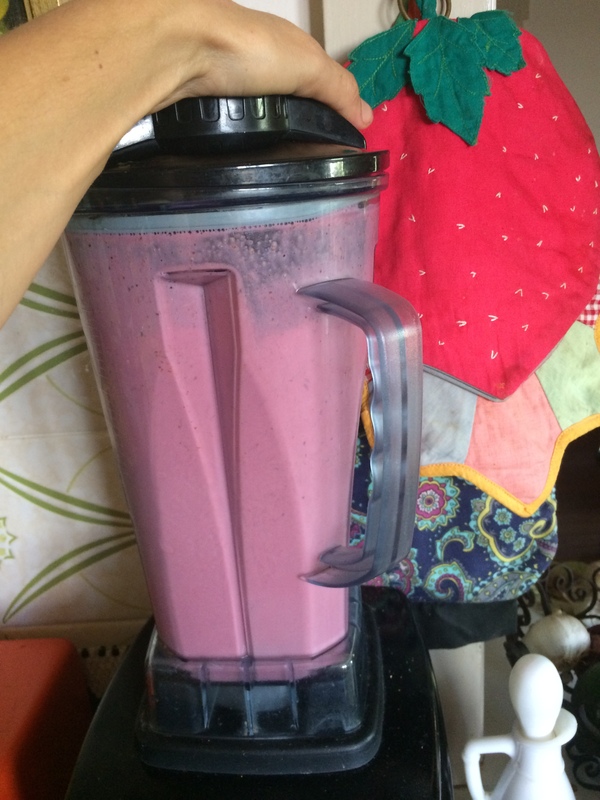 You don’t need to add so much that the juice becomes thick like a smoothie (or do! If you like…) . 5- Juice equal parts fruit and veggies- Vegetables are drier, and usually won’t give off as much juice so you might need to prep extra carrots, beets and celery to obtain equal amounts of juice to oranges for example. Beetroot is an excellent liver tonic and celery is great for ridding the body of extra uric acid and supporting kidney function. TIP: It’s often a good idea to juice fibrous foods first, like carrots, beets, celery and apples- so that the internal sive of the juicer doesn’t become clogged. Leave the more liquid-y components: citrus, watermelon, cucumber etc. till the end. 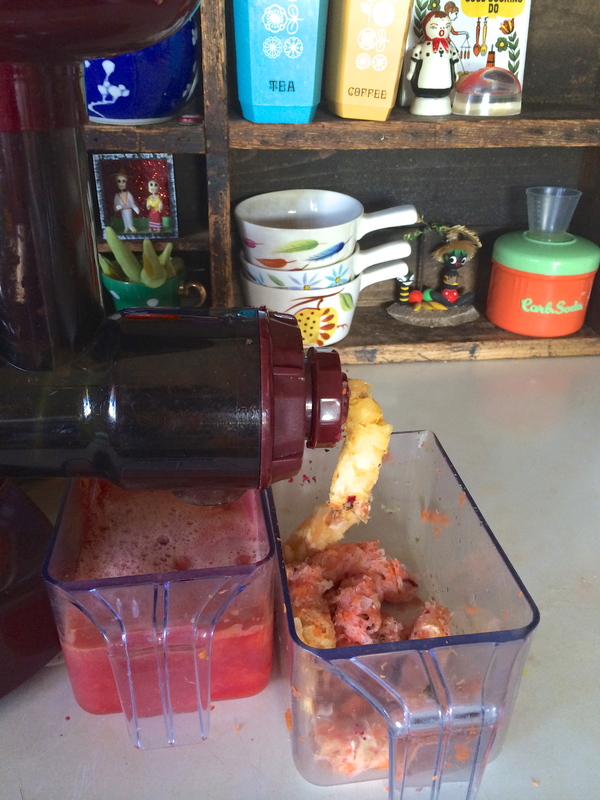 In a cold pressed juicer make sure to run the pulp through more than once so you get all you can out of you produce. 6- Fresh is best- but not always possible- If you’re like me you may find at times that making a juice is a bit laborious, and the clean up a bore. Though it is true that juice is best fresh- most juice will last refrigerated for up to 3 days and still be a great addition nutritionally. I try to juice enough for 3 days at a time. I’ve got a collection of glass jugs with lids I’ve found at op shops over the years. These are perfect to store juices in- but old jars will work just as well. Always opt for glass when storing your juice. My fav is this totally functional and completely ironic “Tang” jug. 7- Juice organically or chemical free- It goes without saying that if you’re adding fresh juice in to you diet for health benefits, it’s best to obtain good quality, pesticide free produce where possible. If not possible, make sure to scrub the skin of all fruit and vegetables that are going in whole with a brush to remove residues and waxes. There are so many recipes for juices out there. You can go out of your way to discover new and fancy flavour combinations- or you can just use what’s fresh and in season and get as much of it in to you as possible. That tends to be my approach. If you’ve bought a juicer with good intentions, but seem to leave it in the cupboard- it’s time to get it out! Juicing is a simple way to increase vitamins and minerals, helping you to get all you need from your diet- without resorting to extra supplements to top up. They are also cleansing and if you get in to the habit, you’ll notice the difference in your health: sparkly eyes, clear skin and beaming energy. Bottoms up…!